Conrad Ruiz makes watercolor paintings of fantastic scenes. Bursts of color and energy sit behind flying figures and animals. Images become painted patterns, as rows of repeated objects and buildings' striations verge on geometric abstraction. Ruiz' identifies his work with the "ultimate boy zone", and the connection is clear. 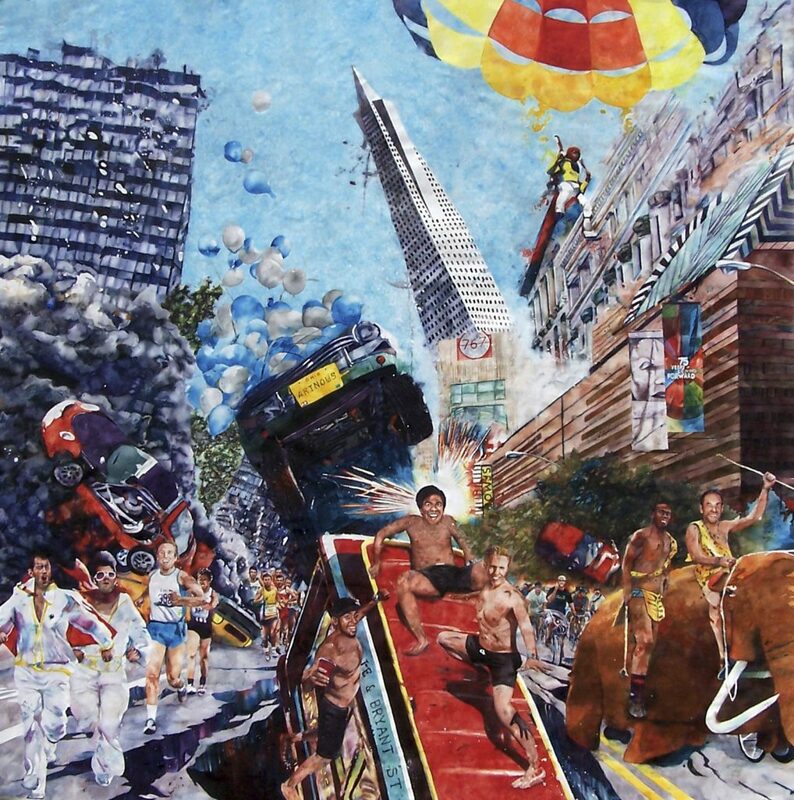 His paintings are populated by explosions, giant sharks, and athletes. Ruiz creates his painting carefully, tracing projected images and carefully following lines. The semi-transparency of his watercolor fills gives his otherwise firm images a shimmering quality, contributing to their overall impression of dreamy unreality. 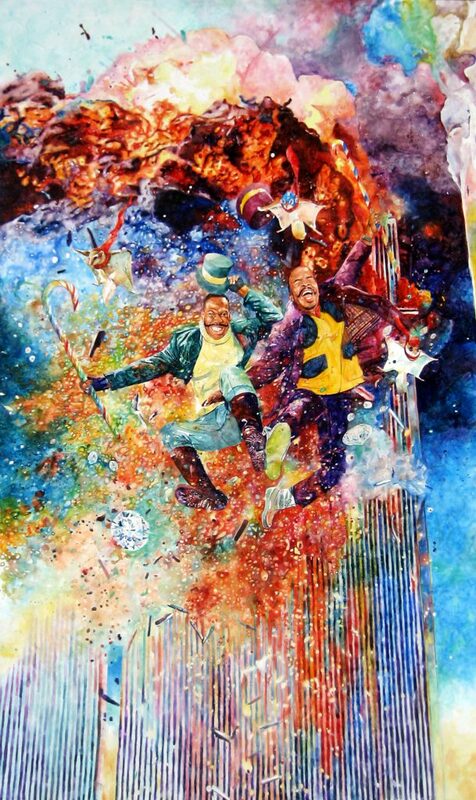 Conrad Ruiz makes watercolor paintings of fantastic scenes. Bursts of color and energy sit behind flying figures and animals. Images become painted patterns, as rows of repeated objects and buildings’ striations verge on geometric abstraction. Ruiz’ identifies his work with the “ultimate boy zone”, and the connection is clear. His paintings are populated by explosions, giant sharks, and athletes. Ruiz creates his painting carefully, tracing projected images and carefully following lines. The semi-transparency of his watercolor fills gives his otherwise firm images a shimmering quality, contributing to their overall impression of dreamy unreality.